Home india Why Modi & Amit Shah afraid from Ahmed Patel? Will be surprised to know you! Why Modi & Amit Shah afraid from Ahmed Patel? Will be surprised to know you! The voting of the first phase of the Lok Sabha election is about to close. Prime Minister Modi is on the election campaign. On Friday, he targeted the Congress Treasurer Ahmed Patel. In the election rally, Modi made a big issue for the name of Congress President Rahul Gandhi and treasurer Ahmed Patel in the AgustaWestland helicopter deal. They alleged that the people who took the bribe in the helicopter deal, the name of one is 'AP' and the second 'FAM', 'AP' means Ahmed Patel and 'FAM' means family. He said that now imagine yourself that Patel belongs to which family. After the allegations of the Prime Minister, Ahmed Patel has accused Modi of doing 'gutter politics'. Patel also wrote on Twitter, "There is a season of elections, so there is a split in the rainy season. Unconscious and ridiculous allegations are raining. We have full faith in the judiciary that the truth can never be hidden. Milk and water will retain water. It seems that the ED has now become an important part of NDA. " Since becoming Prime Minister of Narendra Modi in 2014, Ahmed Patel has been on the target of him and Amit Shah. In the last five years, when Ahmed Patel was attacked by personal attacks and tried to disturb him, many aspects came in to investigate. Ahmed Patel is UPA chairperson Sonia Gandhi's most trusted member of the family. It is a pessimistic Congress crisis. This is the reason that for nearly 16 years, she remained Sonia Gandhi's political secretary. Modi and Amit Shah probably think that if Ahmed Patel's political status is reduced to Congress, the strength of the Congress will be half. Ahmed Patel has been committed to the party. At that time, in 1977, Ahmed Patel won the election from Bharuch Lok Sabha seat of Gujarat at the age of 26, when the wind was blowing against Congress all over the country. After that, he won the election of 1980 and 1984 also from there. Since 1993 he has been in the Rajya Sabha continuously. He is the first leader to get Rajya Sabha ticket for the fifth consecutive time in Congress. After becoming Congress President of Sonia Gandhi, Ahmed Patel became his political secretary. Since then, he is on the peak of Congress politics. Ahmed Patel once told himself that he had also got a ministerial post in Rajiv Gandhi's government. Dr. Manmohan Singh also offered him twice in the ministerial post. But instead of living in the government, it is better to work for the party. All the leaders in BJP believe that Modi and Amit Shah's 'Congress-free', Ahmed Patel is the biggest obstacle in the way of India's dream. Ahmed Patel has displayed tremendous political skill, whether it is a case of Ahmed Patel in the Rajya Sabha elections or a case of attempt to demolish the government in Karnataka or recently a case of trying to break Jitin Prasad from the Congress and join BJP. BJP sources say that Jitin Prasad was scheduled to join the BJP, but at the time, Ahmed Patel came into action and took over the situation. Modi and Amit Shah had all prepared to defeat Ahmed Patel during the Rajya Sabha elections in 2017. Shah broke away from the Congress legislators and resigned. At the behest of the Central Government, the CBI, Income Tax, Enforcement Directorate was used as a political weapon. Despite this, Ahmed Patel managed to win the election. This was the first victory of Congress after Modi became the Prime Minister. PM Modi also targeted Ahmed Patel during the Gujarat assembly elections too. Modi had said that the power lies in Pakistan wants to make Ahmed Patel the Chief Minister of Gujarat. During the election, there were such posters printed in Urdu at several places in which it was written that if the Congress comes to power then it will be the chief minister. The Congress had complained to the Election Commission. None of the Congress leaders had put such posters, Congress leaders believe that it was a conspiracy to defame Ahmed Patel. Although BJP got the power, lost her sweat. Amit Shah and Ahmed Patel are the figures of Chhattis. The dispute between them is going on since 2010. In 2010, Amit Shah was sent to jail on charges of murder and at that time the UPA government was at the center. Perhaps Amit Shah believes Ahmed Patel was behind his sending him to jail. BJP sources say that he always hates Ahmed Patel about this. After the Gujarat assembly elections, the ED, ie ED, is suddenly screwed by Ahmed Patel's son Faisal Patel and his son-in-law Irfan Siddiqui. It is alleged that Ahmed Patel's son and son-in-law have come up in the Rs 500-crore bank loan fraud case. Then an ED official said that in a written statement to the ED, Sunil Yadav, executive officer of 'Saqasra Group', has alleged that the owner of this group, Chetan Dasasara and his associate, Gagan Dhawan, made Irfan Siddiqui fat as cash Had given the money. This money was to be given to Ahmad Patel's son on behalf of Chetan Saidasara. Why did Modi tell Ahmed Patel, a friend? This claim was extremely shocking With this, Ahmed Patel had a lot of rage in his party. However, Ahmed Patel strongly denounced it and had clearly stated that he never met Modi and Modi's claim was utter silly. In spite of this, however, many leaders in the party have accused Ahmed Patel of joining hands with Modi and defeating the party. It seems that Ahmed Patel is the enemy number one for PM Modi and Amit Shah. They think that all the strengths of the Congress are in Ahmed Patel. Congress can not be settled till they are dealt with. But Ahmed Patel is also a well-tired player of politics that he finds every mascot of Modi and Shah alone. 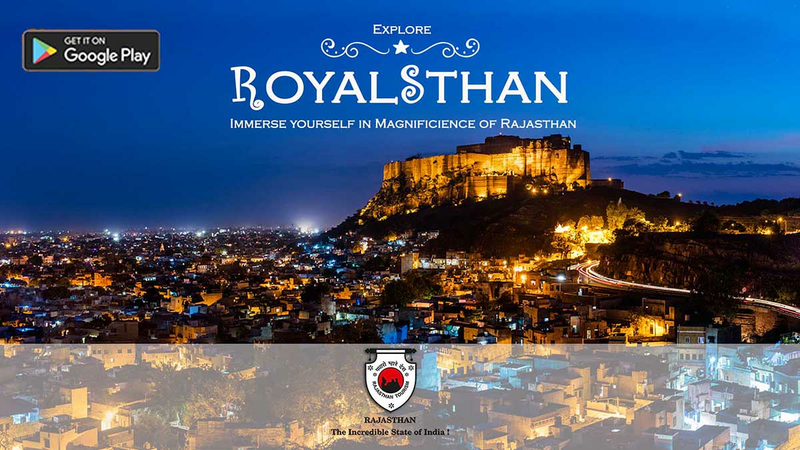 Previous article Rajasthan Day Photography Contest: All You need to know About Contest and Big Prize Amount Upto ₹4 Lakh!